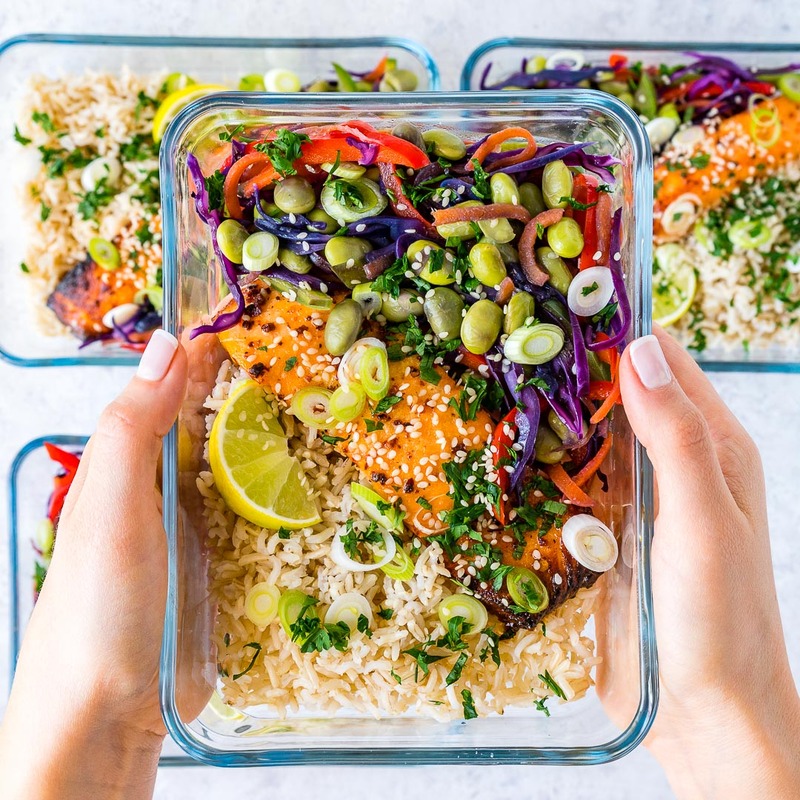 Sweet Chili Salmon Meal Prep Bowls Make Clean Eating Breezy! In a small bowl whisk melted butter, honey, salt and chili flakes. 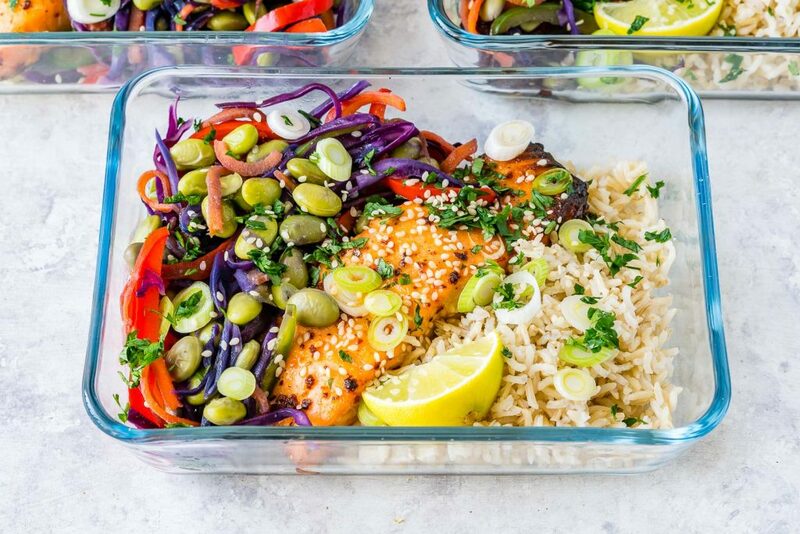 Line a baking tray with parchment paper and add the salmon fillets, leaving space between. Brush the salmon with your chili butter mixture. 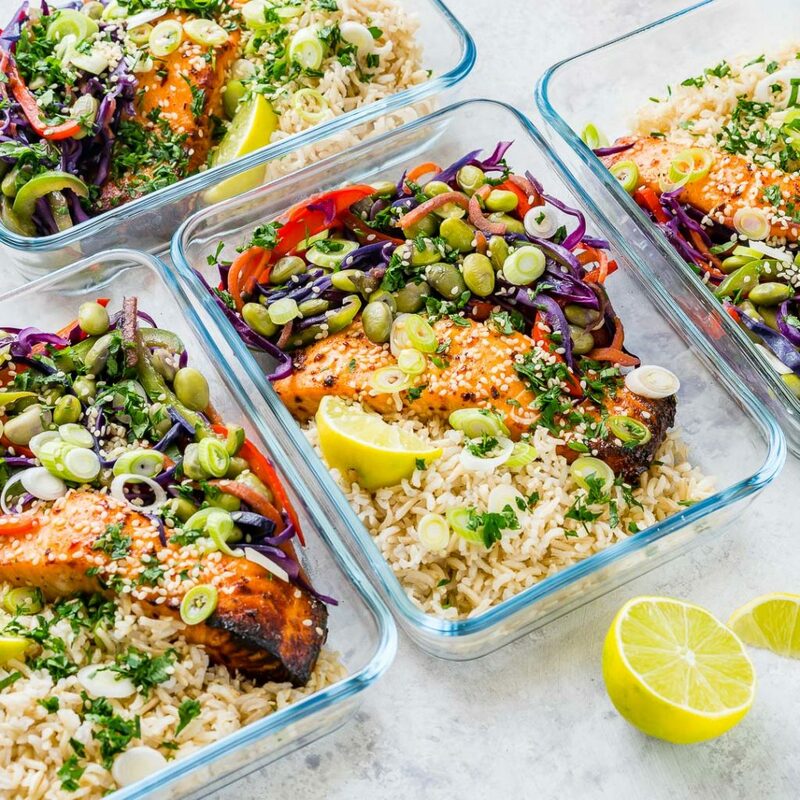 Bake in the preheated oven for about 12-15 minutes, or until salmon is cooked through and flakes easily. Meanwhile, heat 1 Tbsp oil in a large skillet over med-high heat. 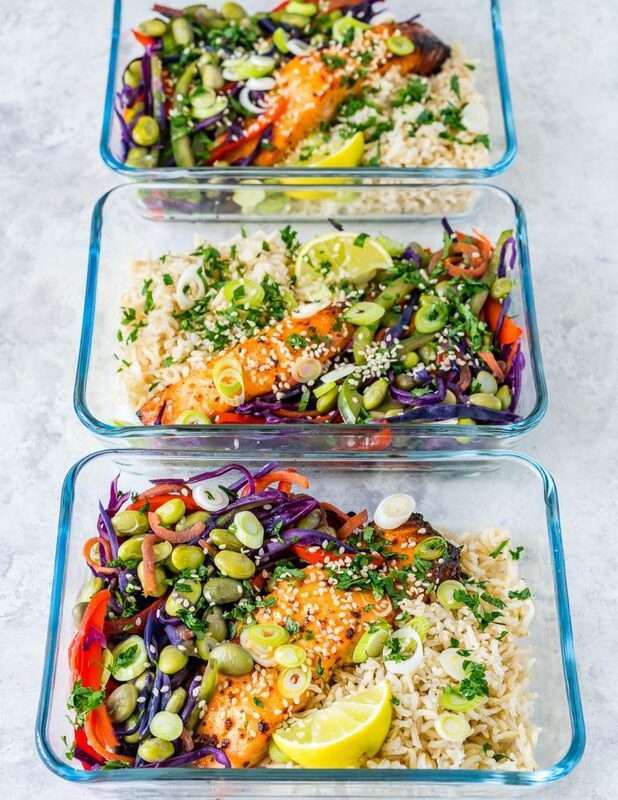 Add in carrots, bell peppers, red cabbage and edamame. Season with sea salt, pepper, garlic powder and saute for about 6-8 minutes, until the veggies are still crisp, but beginning to soften to your liking. Divide brown rice equally between four meal prep bowls and top equally with veggie mixture. 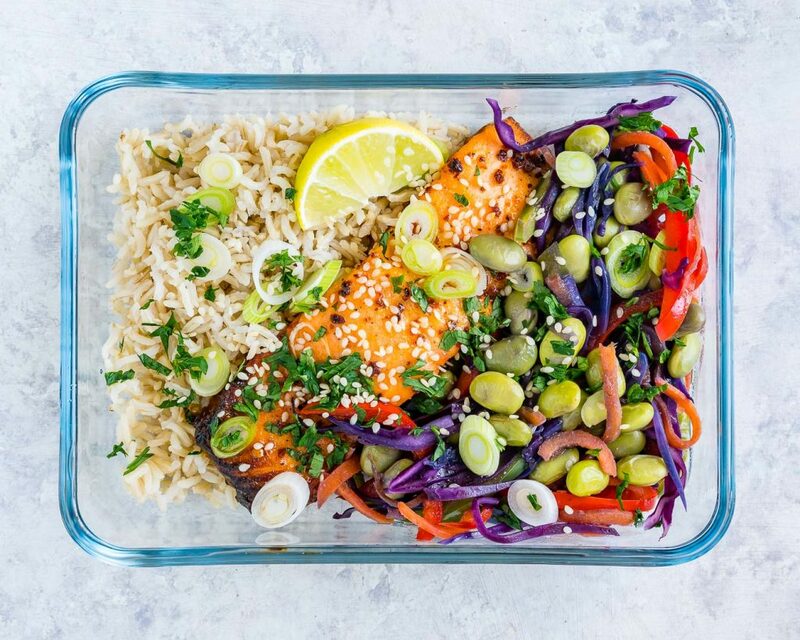 Add salmon and garnish with sesame seeds, sliced green onions, fresh chopped cilantro/parsley, lime wedges, and coconut aminos if desired. Keeps in fridge for up to 4 days.